Paleo Take on Lower Back Pain, Part 2: Diet & Lifestyle Fixes? 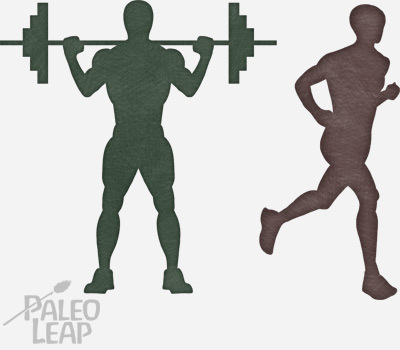 The Paleo Take on Lower Back Pain, Part 2: Diet and Lifestyle Fixes? 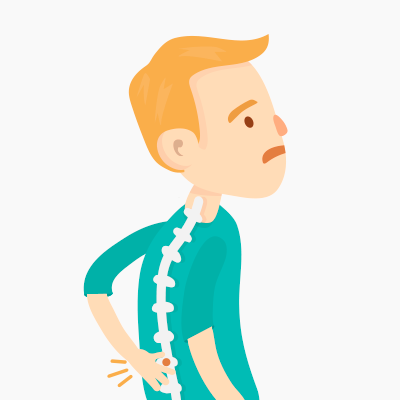 In Part 1 of our series on lower back pain, we took a look at the problem from the perspective of evolution: why are human spines so prone to things going wrong, and does something about the modern lifestyle make the problem even worse than it has to be? Of course, some back pain has an obvious cause: specific injuries or other problems, and in that case the solution is to treat the problem causing the pain. You can eat your way out of a lot of problems; a torn ligament is not one of them. But a very large chunk of lower back pain is nonspecific, which means that there’s no obvious injury causing it and nobody really knows where it comes from…but it hurts. Most of it goes away on its own within 6-12 weeks, but it often comes back. Herniated discs and other MRI abnormalities don’t explain this pain – as this paper explains, many people without pain have abnormal MRI findings, and many people with pain have nothing wrong on the MRI. In Part 2, we’ll take a look at some interesting findings about exercise for low back pain, and then a fairly new model of nonspecific back pain that might point to some helpful lifestyle and dietary interventions: the biopsychosocial model. For people who have nonspecific pain (pain that isn’t obviously caused by some identifiable injury), a few reviews have concluded that exercise therapy as much as the pain allows is probably helpful – Pilates is one example of an exercise program that may show some benefits, although there’s no clear evidence that it’s any better than anything else; this is just the one they decided to study. Walking also seems to be as good as other non-pill interventions. This study found that specific exercise treatment for a particular subgroup of lower-back pain patients had no advantage over general exercise treatment. This suggests that the benefits of exercise may not actually be a function of strengthening one particular muscle or another – if one exercise works as well as another, then it probably isn’t the specific benefits of one particular type. So why does it help at all then? One study suggested that exercise may actually be effective because of its effects on inflammatory markers. That was just one study – but if there’s anything to it, it does make sense: inflammation and chronic pain are closely related, and the question of inflammation also makes sense with another possible explanation for nonspecific lower back pain: the biopsychosocial model. Biopsychosocial means exactly what it looks like: an intervention that considers biological, psychological, and social factors as interconnected. Some research has found that patients with lower back pain have higher rates of psychological distress than people with no pain. Low back pain is associated with a lot of factors that would tend to increase the average person’s stress load (e.g. manual labor, which as well as being physically stressful is also associated with lower income and financial stress). Interestingly enough, this sounds a lot like what we know about another frustratingly vague set of symptoms without any obvious physiological cause: Irritable Bowel Syndrome. IBS is strongly associated with mood and mental health problems, and there’s a growing amount of evidence that psychological health and gut hypersensitivity are related. External stressors can cause a hormonal and neurochemical response that ultimately leads to inflammation and gut problems, causing physical symptoms which then rebound back up the brain-gut axis to affect mood. Could something analogous or similar be going on with low back pain? It’s not actually clear – the evidence for back pain specifically just isn’t all there. But on the other hand, a systematic review suggested that there might be something to it: the review found that biopsychosocial treatments (treatments that focus on psychological, occupational, and social issues as well as mechanical problems) may be more effective than typical care, even though they’re also more expensive and time-consuming. Of course, this doesn’t mean that lower back pain is “all in your head.” If you think stress doesn’t have an effect on muscle tone, posture, movement patterns, and other physiological issues, just think of the most stressful thing you can and feel how your shoulders tense right up. The point of the biopsychosocial model is that mental health and physical health are intertwined in complicated ways, not that you’re just making it all up. That’s where the possibilities for diet and lifestyle to help really start coming in: if addressing big-picture issues like the stress response and inflammation can help, then there’s a plausible reason to believe that diet and lifestyle might be able to do something. From this perspective, explanations of back pain that hinge on biomechanical factors aren’t necessarily wrong; they’re just incomplete. Maybe it’s not posture per se, but the way that posture interacts with stress and inflammation. Maybe we need to look a little bit past the idea that “muscle x is tight and muscle y is loose, so you have pain” and consider the ways that psychological factors and overall health interact with those physical issues. The results of this review could be said to mirror those of others in the low back pain field in that small effects are observed between the index and control interventions…This situation is largely due to the fact that the pathology underlying non-specific low back pain is, at best, unclear. Given that this is the case, it is unsurprising that the mechanism of effect of the different intervention options is also unknown. Considering exercise as part of a biopsychosocial intervention, then how you feel about it (the psychosocial part) might be just as important as what specific exercise you do. That fits basically well with the Paleo model of how exercise fits into your life – do it for the hormonal and anti-inflammatory benefits, not to burn as many calories as possible. Move in a way that makes you feel strong and healthy, not a way that racks up the numbers on the treadmill. There’s no need to get extreme about it if you don’t want to. If inflammation really is one key problem in lower back pain, that opens up a huge possibility for diet to help, because diet can absolutely affect inflammation. Osteoarthritis, which is one potential cause of back pain, is also very strongly tied to inflammation, and some research shows that diet and supplements can help modify arthritis pain, if that’s the cause of your back pain. If mood and mental health are causally related to pain (either through creating hypersensitivity or because stress affects muscle tone and posture), then diet and lifestyle choices that reduce stress and support mental health might be helpful. Think: not obsessively counting calories, enjoying a high-pleasure diet without guilt about food, and eating important brain nutrients like magnesium and Omega-3 fats. It’s also worth noting that even if bad posture doesn’t cause back pain and good posture doesn’t fix it, mobility or postural alignment work can be worthwhile if it helps you align your body under a load or a stress (e.g. exercise), which has a much greater potential to cause actual injury. The points above are mostly speculative: remember from above that not even scientists studying back pain really know what causes it or how to fix it! But the great thing about gentle exercise and a nourishing diet is that they really can’t hurt anything, and for people who don’t have an obvious injury or other cause of the pain (again, if you do have an injury, see a doctor, not the internet), they might be worth a shot.